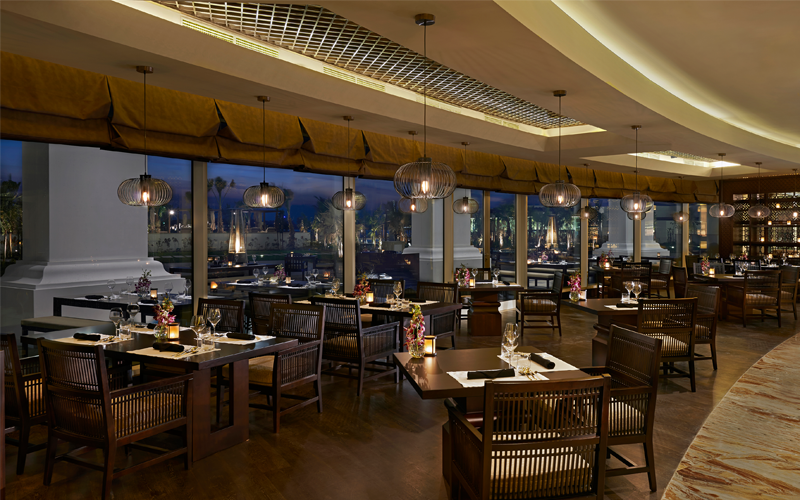 Lao has been a stalwart of Dubai’s dining scene ever since the hotel opened three years ago. But while it was previously known for serving pan-Asian cuisine, it has wisely switched tack. Today, it specialises in Vietnamese food – which, considering a vast majority of its staff hail from that particular part of South East Asia – is a very good thing. The food is excellent. Vietnamese food is somewhat overlooked in the Gulf – there’s usually a few classic staples (like fresh spring rolls, for example), added to most many Chinese menus – but there are very solely-dedicated Vietnamese restaurants here. The traditional Hanoi fried rolls, filled with chicken, vermicelli and mushroom, were incredibly moreish – as was the Hanoian ‘Pho’ soup noodles. Dishes are equally suited to sharing or having just by yourself. If Vietnamese food isn’t your strong point, don’t fret. The staff certainly know what they are talking about when they describe each dish, as many of them grew up eating it. The food comes out quickly – as most dishes are cooked quickly – and the service is certainly up there with the best. The large restaurant can look rather empty at times, as there’s also a rather large outdoor seating area. The open kitchen certainly adds to the experience, and if you’re in a small group, it’s worth requesting a seat near the roaring wok fire. For more information, visit LAO. For reservations, email Dubai.restaurants@waldorfastoria.com or call +971 4 818 2222.